Don't waste time on the SEVEN (!) 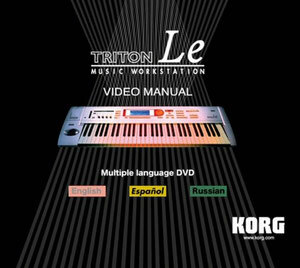 manuals - The exclusive DVDs show you all you need to know to get the best out of these powerful MUSIC WORKSTATIONS, including editing and many undocumented tricks and tips to move round the menus quickly and effectively. * Produce multi combi setups at the touch of a Button! * Reduce your Memory Overhead to get MORE FUNCTIONS! Turn the Triton into an OASYS /KARMA !